The charge d’affairs at the United States embassy in Yaounde, Mattthew Smith, who for some time now has been acting in the capacity of Ambassador after Michael Steven Hoza came to the end of his mission in Cameroon, yesterday informed the population of Cameroon that the United States of America could not intervene in the internal affairs of Cameroon. To him, the fact that Cameroon remains a sovereign states makes it impossible for the USA to intervene in its internal issues which according to the high-level diplomat can be resolved internally. 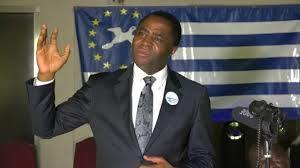 Even though the acting ambassador was very tactful not to mention the Anglophone crisis, his comments however betrayed him and showed that he was addressing the crisis that has rocked the nation since October 2017. Speaking yesterday during a special visit to the Buea Council, the acting Ambassador while recalling the level of cooperation Cameroon has had with the United States in the past years, Mathew Smith, pledged his countries readiness in helping Cameroon find a long and lasting solution to the current socio-political deadlock plaguing the North West and South West Regions of Cameroon. Here him, “to those who are expecting the United States to intervene in the internal affairs of Cameroon I say it’s impossible because Cameroon is a sovereign nation.” He further added that “just tell us what you need and we are ready to help in finding a solution…I am glad 2018 is fast approaching when you have more than one elections…I hope the voice of every Cameroonian will be represented in the elections (presidential).” He said. Matthew Smith, who was accompanied by a powerful delegation to the South West Regional Capital of Buea, reiterated his nations commitment in accompanying Cameroon in its development strides such as in the domains of health, agriculture et al. 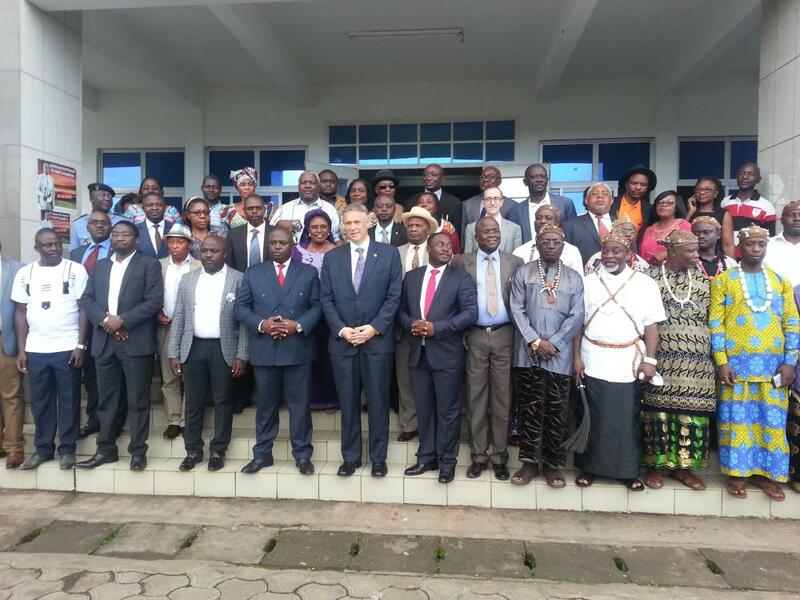 Present at the meeting was the Mayor of the Buea Council, Ekema Partick Esunge, the host, municipal councillors, administrative, traditional and religious representatives, and a cross section of denizens of the town described as “legendary hospitality”.